Replies: 56 (Who? ), Viewed: 75958 times. #1 11th Oct 2005 at 4:00 PM Last edited by boblishman : 6th Jan 2018 at 3:09 PM. Sometimes you may wish to use a previously downloaded object in a Community Lot that is currently only available/buyable in Residential catalogue. If you are an object creator, you can follow the same proceedure when making your new package, to make your new objects available in both Residential and Community lots. It may save you time answering a lot of requests and posts! 1. 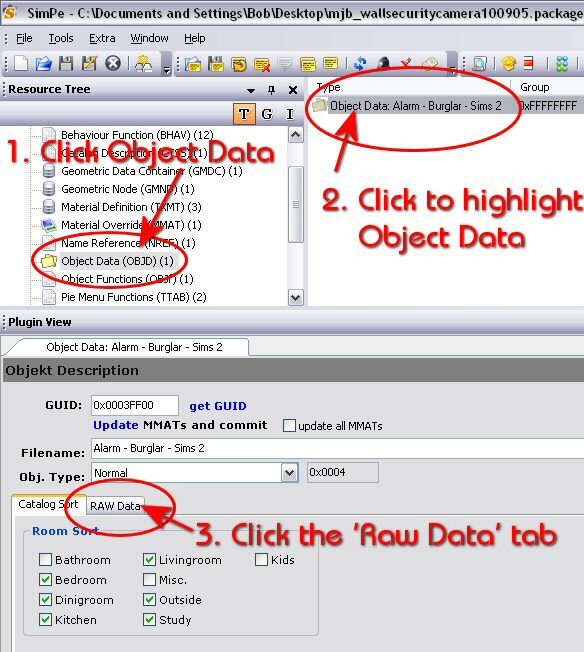 Click on Object Data..
4. Put the newly saved package file into your downloads folder. 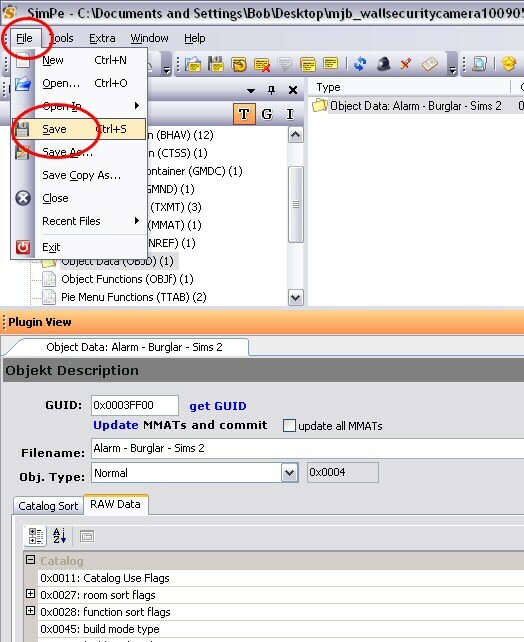 Your object will now appear in the Community Catalogue as well as the Residential one. Thanks, Bob, for this tutorial. I know there are lot of people who want to be able to convert their objects but don't know how. Could you indicate what version of SimPE you're using? Also, you can upload the pics here, if you feel like it. Thanks Boblishman! I covered this in another thread, and actually used the info that you gave me originally This is much nicer with the screenshots and all. Brilliant! Thank you, Boblishman. I have been looking for this since I-don't-know-when. I once got a reply to my request concerning this issue, that I have to create a new collection and put each object into it in order to make it / them available on a community lot. The problem is, that I did not have access to this new collection from a community lot. Your solution is much simpler though it might not look simple. There are actually different values for Community Sorts depending on where you want the object to appear. For example, if you want it to be in Food section only or Food and Outside or any other combination. I have some values and I've tested them but I don't have all the combinations possible. Would you happen to know them? #6 19th Oct 2005 at 6:15 PM Last edited by boblishman : 19th Oct 2005 at 6:23 PM. I have noticed that there are several values to enable them to show up....though '128' does seem to be the most common one I've seen. I'd be happy to. I am not a modder at all by any stretch of the imagination, so if I'm wrong, please forgive me. Also, I got some of these values from wes_h so kudos to him. Obviously, there's a pattern here. I just haven't had time to tinker with the other sections. Hope that helps. Oh, and I found out that for those objects that have more than one object data (I think they're 2-tiled or more), you would only change the value in the main object data. Also you won't find object data in recolors. #10 22nd Oct 2005 at 11:27 AM Last edited by boblishman : 22nd Oct 2005 at 11:38 AM. Well, the answer to your question is: SimPE is a tool. Like any tool, if used with respect it will accomplish a task. Also, like any tool, you have to learn how to use it properly, which involves practice. You wouldn't give an electric saw to a three year old child. Nor would you expect any adult to be able to carve a marble sculpture the first time they used a hammer and chizzel. Yes, you WILL make mistakes. But (to quote my late father) ... 'a man who never made a mistake, never made anything'. The great thing is, if you do make a mistake (and believe me, you will!) and the resulting package is 'wrong' then it will probably crash your game. However, because of the way the game works, all you have to do is remove the 'wrongly built' package from your downloads folder...and bingo...the game is 'back to normal'. I must have crashed my game over 100 times .... and I've never needed to do a re-install....or lost any Sims, lots houses or objects. The 'trick' really is to start slowly. Don't try and create some amazing new hack/animation the first time you open SimPe. Start off with a really simple task. Get the tutorials....read them....and follow them to the letter. As you get used to using it, (like any tool) you will become more skilled (and more confident) and will want to try more advanced tasks. So....the answer to your question is ....: It's a safe as any tool. Remember.... It's not the tool that's dangerous....it's the person using it. (I would also advise you to back-up your entire My Documents/TheSims2 folder (yes, the entire folder, not just the Downloads folder) on a regular basis. This is not because if what SimPE might do .... it's because you never know when your computer (another tool) might decide to malfunction and 'screw' your game/installation/operating system. Indeed there Is. This looks like a Decimal interpretation of a Binary UseMask. I knew there was a reason why I didn't become a mathematician. It was staring right in my face. Thank you. #13 22nd Nov 2005 at 12:24 PM Last edited by katgyrl : 23rd Nov 2005 at 3:18 AM. omg, and here i was thinking you could just change an already made residential collection to a community collection :-( this would be way too time consuming to make all my custom furniture available on community lots if it has to be done one at a time. it's weird tho' because before nightlife, all my custom content would automatically show up in my res-to-comm collections - as i installed new objects they would just magically appear in them & now all i have is the cruddy maxis made objects. gah ! edited to say: doh! there is a way to convert a res collection to a comm collection, just figured it out. You seem to have a nack for writing tuturials in a nice 'for dummies' manner. I mean that as a compliment since I find it very easy follow. Modding can be complicated and you shed light on it. Thank you. 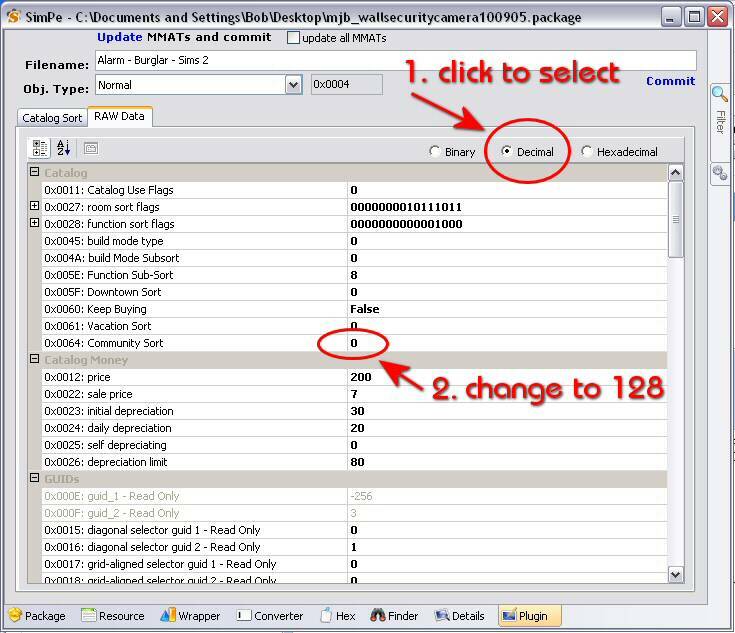 What do we do when there is more than one entry under object data? For example, with IndigoRage's altar, there are four different entries- which one would we change? Thank you again Bob. I love you! What do you do when no Object Dats file shows in the list. Hello? Um, sorry to be a pest/ bother, but can some one post the OFB objects on? I know a lot of people who would be grateful. Please message me if your up to the challange, and are/ is going to tackle it. //\\ Where Sims Are Sims!! This message has been deleted by kustirider2. Whew. I admit to being rather shaky after making moving IndigoRage's altar (hey, what can I say? It's popular) to a Community purchase, but it seems to have worked. The altar isn't crashing the game or producing any strange colors or shapes. I can see what you mean about SimPE, though. It doesn't seem to wise to use it to convert EVERYTHING ... only a few items that you really want to move. How exactly do I make a community object available in a residential place..? I can't find the answer.